Lefkos Hajji was a man in love and decided to pop the marriage question to his girlfriend in a way she would never forget. Lefkos had his twelve thousand dollar diamond engagement ring placed into a helium-filled balloon. He planned to give his girl the balloon along with a pin to pop it. Then, when she picked up the ring from the popped balloon, he would pop the question. Lefkos' plan was great; his execution, on the other hand, was a disaster. 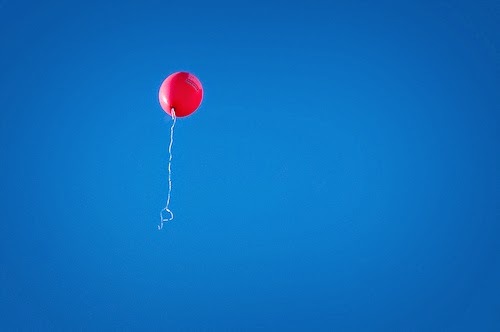 As he left the shop where he had the balloon filled with air, a gust of wind took it out of his hand. The balloon, along with the diamond ring, sailed away. Lefkos, who lives in London said, "I couldn't believe it. I just watched as it went further and further into the air. It cost a fortune and I knew my girlfriend would kill me." The frustrated suitor jumped into his car and followed the balloon for two hours before balloon and ring sailed out of sight. The story carried in the Telegraph reported Lefkos hopes someone will return the ring. I really hope that will happen, but I fear Lefkos will get that ring back at just about the same time his angry girlfriend starts speaking to him again. You know, all of us do foolish things. True, we may not put a diamond ring in a helium-filled balloon, but we still manage to do our own foolish acts. But of all the foolish things we can do, Scripture is clear, nothing is MORE foolish than refusing to believe in God. As Christians we believe there is a God because the heavens show us His handiwork. We believe in God because knowledge of His existence is written in our hearts. Most of all we believe there is a God because we have seen Him. We have seen His Son born in Bethlehem and crucified on Calvary's cross. We have stood before Jesus' empty tomb and, by God's grace, joined with Thomas in saying, "My Lord and my God." The odds are, if you're like me, before today is over you will have done something very foolish. If that happens, won't you say a short thanksgiving prayer that the Lord has given you a faith that keeps you from making the most foolish mistake of all? Dear Lord, may our foolish mistakes be small ones, and may they be mistakes not sins. Keep us in the faith, and bring others who say, "There is no God" to a trust in You. In Jesus’ Name. Amen. Is There Water in Your TIn? Are You Taking Care of the Sunflowers? Does God Have You on a Mission Today? The Story of an 80 Acre Farm. The Puzzle Pieces of Faith. Don't Give in to Temptation.